Struggling with low-performing B2B email marketing campaigns? We’ve got you covered with 21 business boosting B2B email marketing examples from the pros in the field. B2B email marketing is definitely on the top of its game as the most preferred channel for written communication between businesses for years now. In 2017 you simply cannot afford to neglect your B2B email marketing campaigns. If you still have no clue what to do with your B2B email strategy, here is a chance to peek into your competitors’ email campaigns. Learn, get inspired and craft killer B2B campaigns yourself. Let’s start! Asana’s platform helps teams manage their projects and communicate more efficiently. 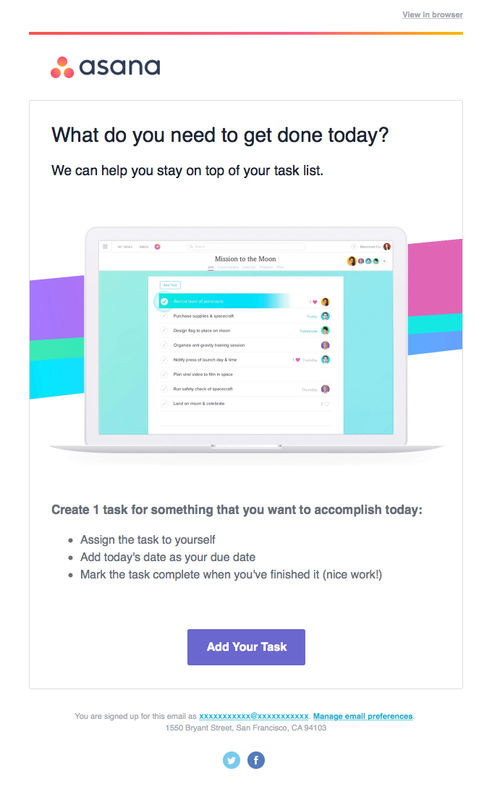 With this B2B email they introduce their clients to the Asana’s workflow and invite them to start a new project today. This B2B email marketing example shows that your email might be a part of a welcome emails chain, but it could also be a re-activation email. 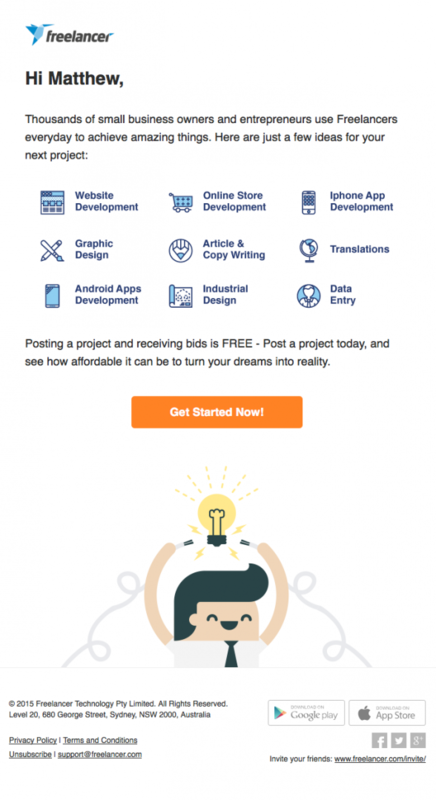 Here is a B2B email marketing example by Atlassian announcing several service updates. The email starts with an offer for a free testing “right now” and the white background helps the blue call-to-action buttons to stand out. This type of B2B email marketing campaign is great to maintain the B2B brand-customer relationship warm. You remind about yourself and announce what’s new. Buffer is a web application which allows you to reach followers on all your social media accounts from a single account. 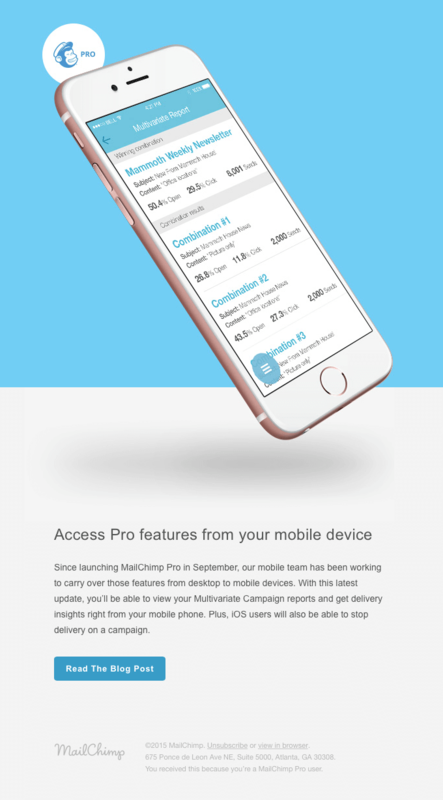 This B2B email marketing example shows how they announce the launch of their new iPhone application Buffer Daily. Use your marketing emails to announce product launches and product updates. Also, ask your recipients what they think of your new product or service. This way you’ll show them their opinion matters to you. CampaignMonitor sent a B2B email to their clients to remind them about their email template builder. Use your marketing emails to remind clients about products or services they have not used for a while. There are plenty of B2B email marketing examples like this but what is more important is tо monitor your clients’ behavior and offer them solutions preemptively. eROI is a Portland based full-service digital marketing agency specializing in email marketing, strategy and web design. They created a great B2B email marketing campaign to remind their clients what they stand for in order to inspire them and motivate them to join their growing network. Year in review B2B emails are an excellent way to connect with your readers. In this email Flywheel have many things to share with their readers. This B2B email marketing example shows how they include a preview of the complete review in the beginning of the email and complete the template with some colourful and funny photos of their employees. Use B2B emails to introduce your clients to all your services. Freelancer sent this email to business clients listing all the services the freelancers on their platform can help with. This is just one of the B2B email marketing examples that show that complementing your email design with a fun image is always a good idea. B2B emails can be used to remind your clients about an important information or statistic they could get from you. 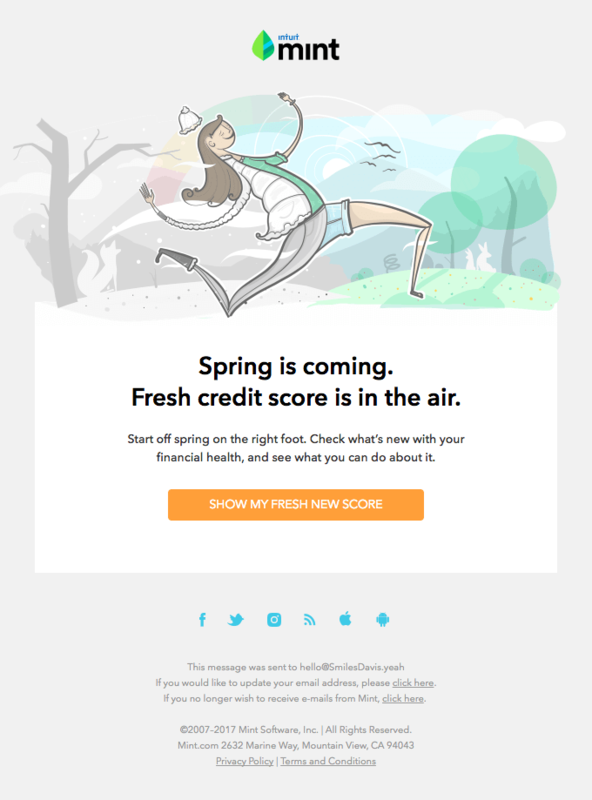 This B2B email marketing example shows that Intuit is using their emails to remind clients to check their credit score. This is something every business would care a lot. Do not miss to announce merges, acquisitions and newly minted partnerships in your B2B emails. Let your existing and potential clients know who you are working with to provide a better, more reliable service. Always email your clients about meetups or conferences you organise or attend. With this B2B email marketing example we see how Litmus announce their annual email design conference and the three locations where the conference will take place. Lumi is a packaging service for e-commerce brands. With this B2B email they link to their latest blog articles. As this B2B email marketing example shows, whenever you publish a new blog post you can email your clients with a quick preview. 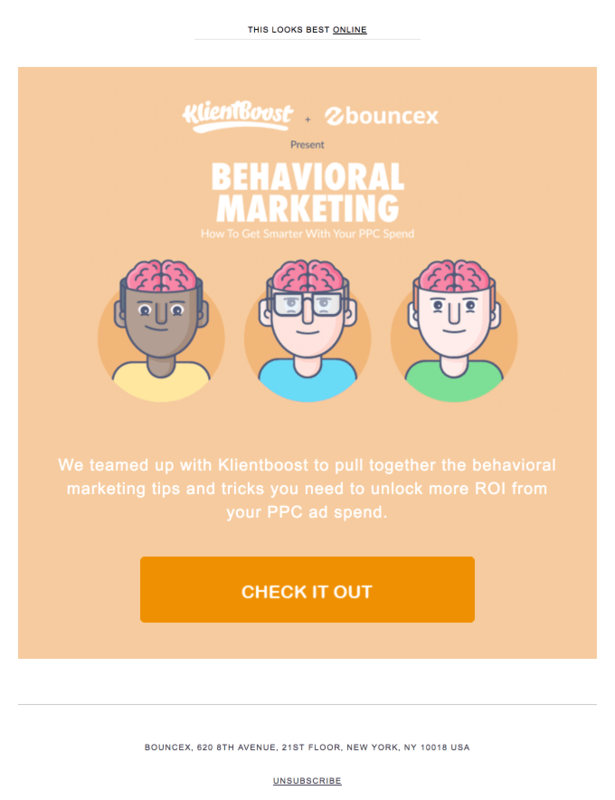 What better place to get B2B email marketing examples, but from MailChimp’s very own email marketing campaigns. Managing your email campaigns on the go is now even easier with their mobile application, which allows you to access all Pro features too. If you have a mobile application complimenting your services, do not miss out on the chance to let your clients know via email. Big holidays and observances are always a great opportunity to connect with your audience. Send a short e-card (GIFs work great for Christmas, New Year and Easter) and deliver your best wishes to your clients. When you send B2B holiday emails, refrain from any sales/marketing messages. 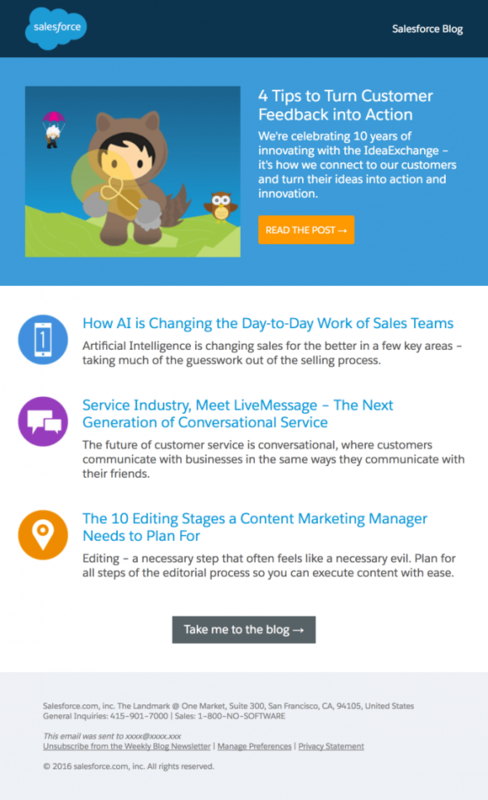 Another excellent example of blog post announcement, this time by SalesForce. Short, on-point message, featuring an eye-catching illustration is all you need to update your readers on your most recent blog publications. In a B2B email you may mix up topics for your business clients, as long as they stay relevant to your audience needs. In this B2B email marketing example we see how Shopify announces “feature store” competition, the latest updates of their POS checkout system and the current featured app. All these engage readers in different ways, but it’s still relevant to their interests. Slack, the cloud-based team collaboration instant messenger is all about team work. 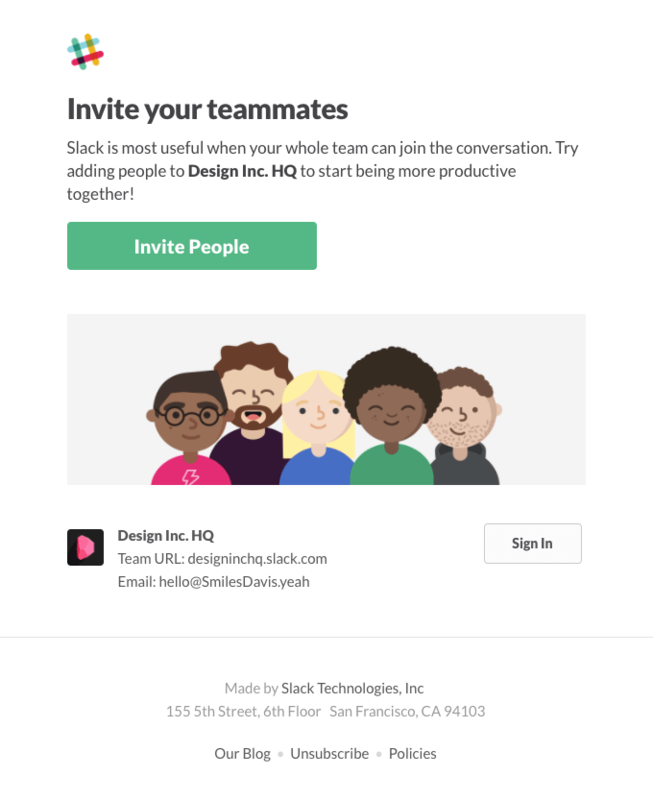 This B2B email features a short paragraph about the offer, an illustration showing a bunch of teammates and a big, green call to action button. SproutSocial is a social media management tool, which sends this B2B email to their clients to let them know of the newly added features to their platform. There are many B2B email marketing examples when we see the email first announcing the product update and then providing a list of benefits associated with the update. Square offers pre-paid gift cards and they use this beautiful B2B email to share some gift ideas with their business clients. Again the value proposition is on top, accompanied by a big, sharp image and the benefits in more details are listed underneath. 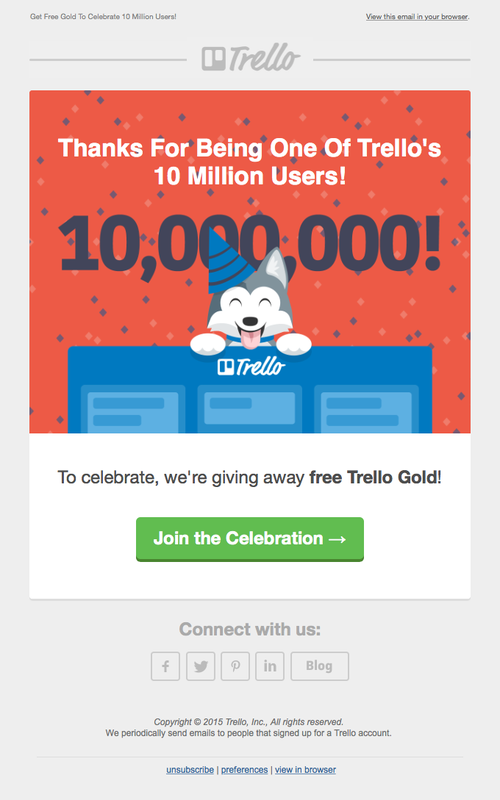 With this B2B email marketing example Trello shows us that they connect with their clients not only for the winter holidays, but also when they hit a company milestone. Don’t think of it as “bragging”, but rather share and celebrate your company achievements with your clients. Spread the happiness. 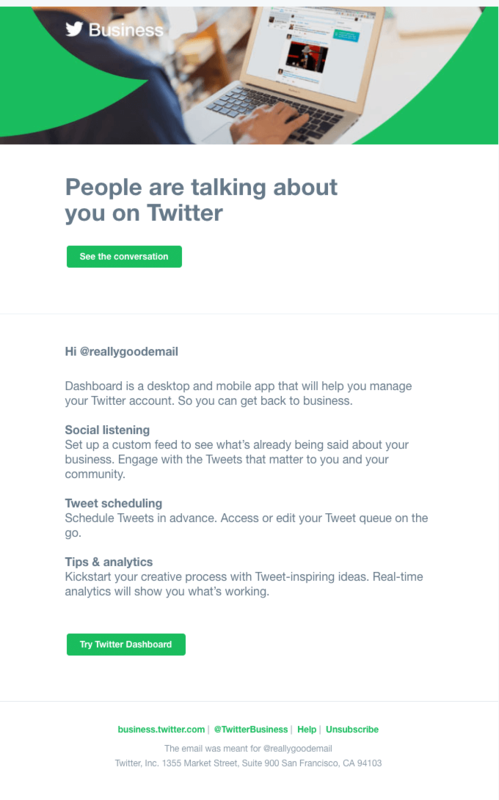 Here is a B2B email by Twitter in a light, non-intrusive design, starting with the attention grabber “People are talking about you on Twitter”. This way Twitter provokes curiosity and also lets their business clients know how easily they can manage their accounts from their desktop and mobile application Dashboard. The list of B2B email marketing examples can go on and on, but the main idea is pretty clearly from the above 21 examples – don’t miss a chance to communicate any company developments, product updates or announcements and even holiday celebrations to your business clients. Curate your emails carefully, don’t push the sales copy too much and you’ll see a positive response to your B2B email marketing campaigns. 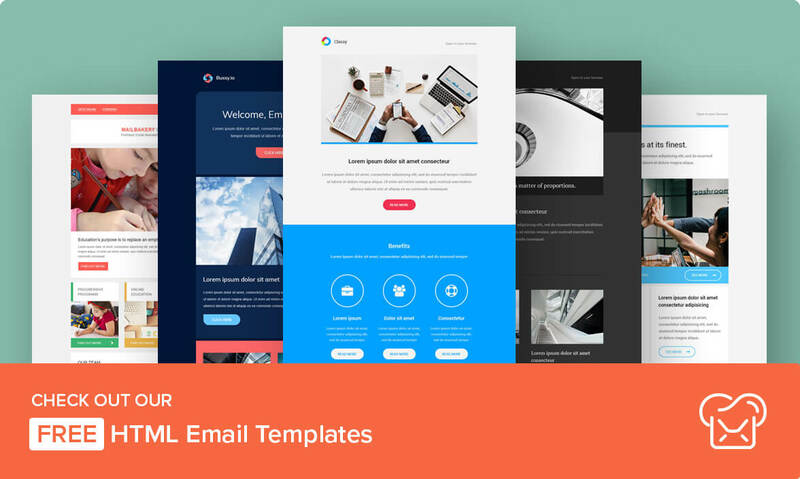 Should you need help with the design and/or coding of your B2B email marketing emails see what MailBakery can do for you at B2B Email Marketing Emails From Scratch. As always, special thanks to our friends from ReallyGoodEmails.com for sharing their email gallery with us. Want to check out over 50 more email marketing campaign ideas?